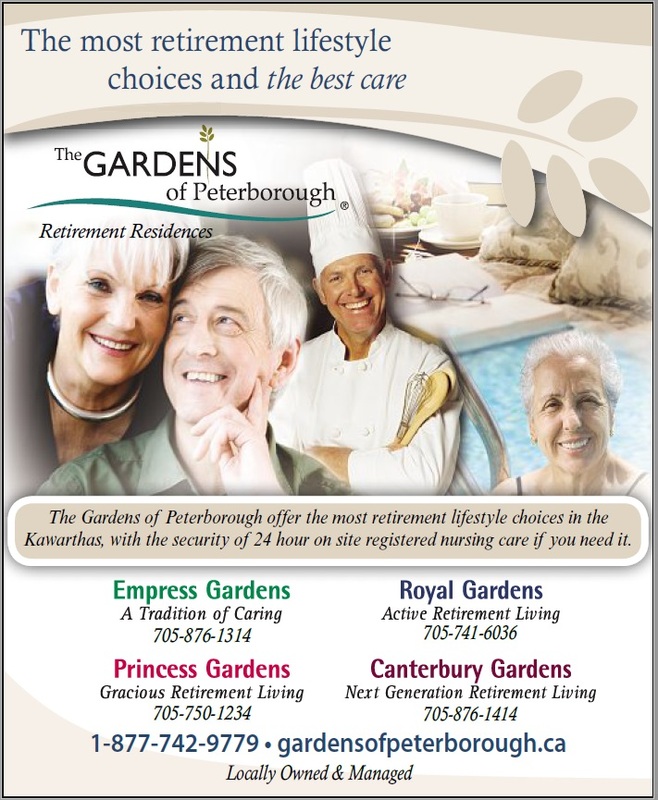 The Gardens of Peterborough are the premier retirement communities in Peterborough and the Kawartha’s. Whether its fully independent living, a little help with medications, or the caring support of our "Enriched Care®" Assisted Living program with access to 24 hour on-site Registered Nursing, The Gardens of Peterborough offers the most complete range of services, amenities, and Care that you can find—perhaps anywhere. Comprised of Empress Gardens, Princess Gardens, Royal Gardens and Canterbury Gardens. What sets "The Gardens" apart from all others isn't just that we have the largest variety of floor plans and spacious suites, or the best locations. What sets us apart is our service and our commitment to "Care" in everything we do. Whether you are looking for yourself or for a family member, we are dedicated to making the decision an easier one. It's all about choice and maintaining maximum independence while at the same time ensuring safety, security, and health. We meet with families and new residents to determine specific, individual plans that encompass health care, social interaction, nutritional needs and an active life. Uprooting yourself or a family member can be stressful. That's why the cornerstone of our philosophy is "if your needs change, your address doesn't have to". Each of our retirement communities offers a full range of care options so that friends, routines, tastes, and care-providers don't need to change if circumstances do. There are resources on this site that can help you and your family with this challenging decision, and our experienced staff will provide all of the assistance and information you need. Consider each of our retirement communities as you carefully evaluate what will be best for you or your family member. Each Gardens of Peterborough community has the same commitment to high standards and quality, and each offers the security and peace of mind of 24 hour on-site nursing services that no one else in the region can provide.